Digital Skills Academy is an established, innovative leader of industry-linked, online digital skills courses, training, higher education & digital skills training programmes for working professionals in the digital skills sectors across the world. Founded in 2008 by educator and entrepreneur Paul Dunne, Digital Skills Academy is an established, innovative leader of digital industry-linked higher education & training programmes. The Academy’s headquarters is located in a historic district of Dublin, Ireland, beside the famous Guinness brewery and surrounded by like-minded organisations pioneering the digital revolution in the Digital Hub. The area has a world renowned reputation for fuelling the tech economy with exciting start-ups, digital entrepreneurs and thought leaders. It is amongst this digital inspiration and innovation that the Digital Skills Academy produces it’s ground-breaking online BSc Degrees, which are now available online and accessible from anywhere in the world. 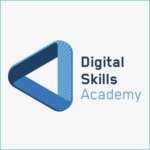 For more information about digital media courses at the Digital Skills Academy, select the course links on this page.